Deland Media Group, LLC, 9780986224119, 274pp. 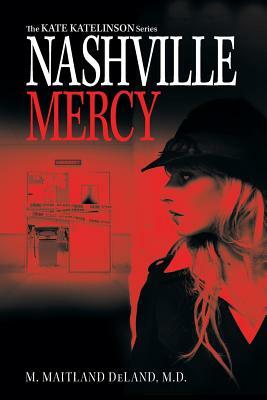 When a promising country music singer on the verge of stardom mysteriously dies after undergoing a routine medical procedure, Kate Katelinson, an investigative reporter for the Courier-Journal, becomes personally tied to the case. After sources connected to the reporter's investigation start dying, Kate finds herself thrust into a twisted labyrinth of betrayal, corruption, and murder. Armed with only her investigative instincts and an unlikely alliance of friends, the reporter enters a terrifying game of cat-and-mouse with a mastermind more powerful than she could have ever anticipated. To complicate matters, Kate finds herself torn between her brilliant ex fiance, and a charismatic hospital executive who both may be after more than her heart. In her debut novel, Dr. M. Maitland DeLand takes readers through a rollercoaster ride of suspense while touching upon some of the most pressing social and healthcare issues of the 21st century.